it has since childhood . . .
For three decades, David Rivard has written from deep within the skin of our times. With Standoff, he asks an essential question: In a world of noise, of global anxiety and media distraction, how can we speak to each other with honesty? These poems scan the shifting horizons of our world, all the while swerving elastically through the multitude of selves that live inside our memories and longings--"all those me's that wish to be set free at dawn." The work of these poems is a counterweight to the work of the world. It wants to deepen the mystery we are to ourselves, stretching toward acceptance and tenderness in ways that are hard-won and true, even if fleeting. 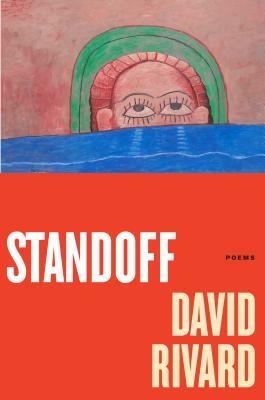 David Rivard is the author of five previous collections, including Otherwise Elsewhere and Wise Poison, winner of the James Laughlin Award. He teaches at the University of New Hampshire and lives in Cambridge, Massachusetts.